A bit of an update, for my friends who have been following along for some time. We have officially bought a country property, officially sold our current house, and we are officially moving in 4 weeks – and I am officially wiped. 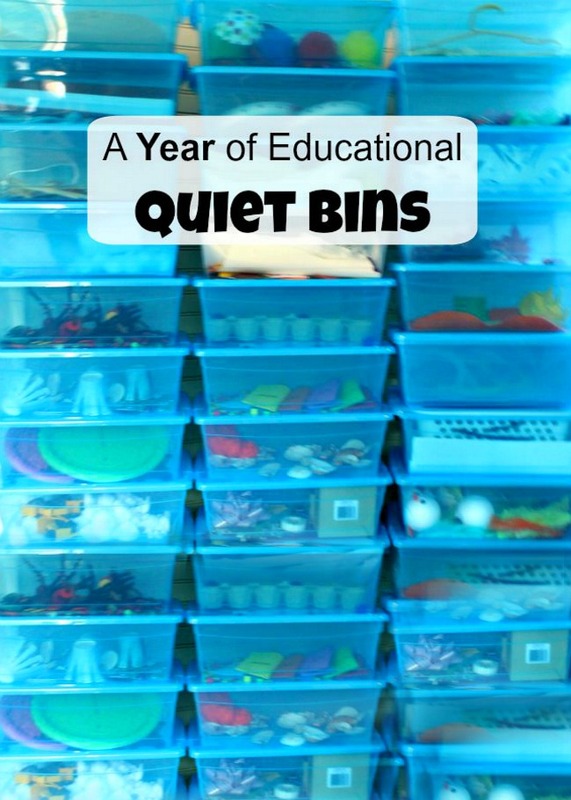 If you have ever moved, I am sure you know there are a million things I am trying to do in one day to prepare for this move, and of course, I have my little ones who I am also trying to care for and keep calm. 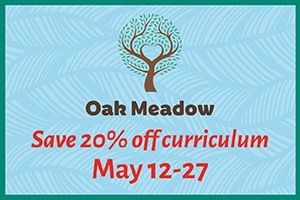 Though, at times, I am feeling anxious and stressed about the upcoming move I am trying my hardest to keep things running smoothly and calmly for my kids. I am hoping this will help them adjust to the idea of moving easier. I am hoping. Really hoping. Since my kids are used to a Mama-planned activity once in awhile, I decided to ask my Sammy if there was a favorite activity he would like to do. He, not at all to my surprise, wanted to go for a nature walk with some playdough. This has been his favourite thing to do for quite some time now. But, I was expecting a phone call in regards to the move (one last (last?) thing to talk about that wasn’t going quite right … not too worry, just about financing – nothing too important, I am sure my bank will understand if their cheque is a zero or two shy). So I suggested bringing the playdough into the backyard. For all the time we spend in our backyard you would have thought that we would have done this before – but we hadn’t. Apparently it was being stored up my sleeve for an occasion just like today. And what a hit it was! 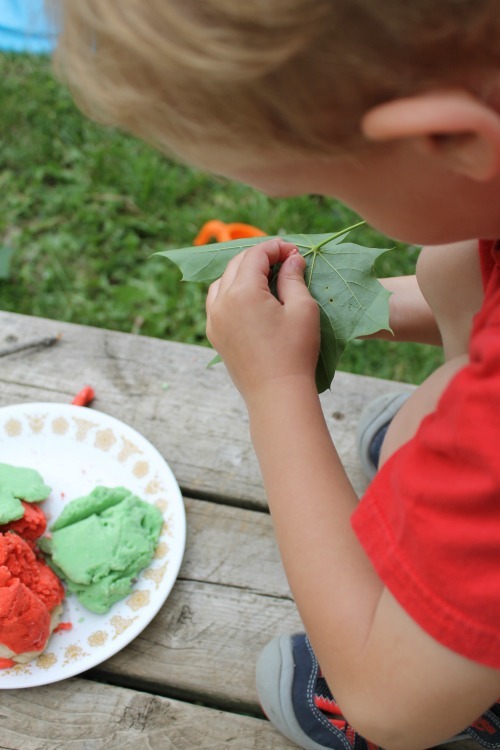 We whipped up a batch of our Super Easy Ultimate Play doh and out we went. I added a little bit of extra oil to make the playdough a little more wet so it would stick a little better. The first thing Sam did was decorate a stick. I was surprised it wasn’t a rock. Rocks and sticks are all that boy needs to be happy. 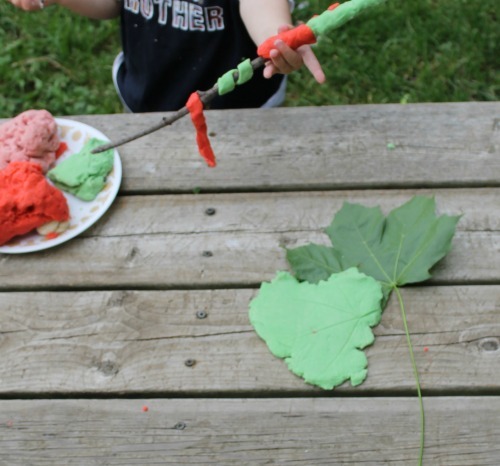 He wrapped the playdough around the stick, added some little polka dots, and ended up with quite the magic wand. Next, both Sam and Ben made some imprints. I like doing this as well, especially to leaves. I want to try to do it with a more durable clay to make coasters or something like that – I just love the look of leaf prints! 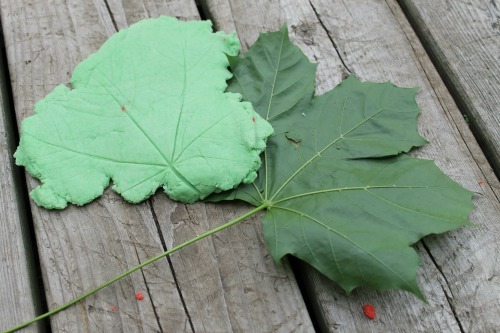 Ben, who is 20 months, took little tiny bits of playdough and pressed them down onto a leaf over and over again. He loves to mimic what his big brother does. One of the funniest things about my little Ben is how he will put so much time and care into something and then, all of a sudden be completely done with it – he doesn’t want to save it, touch it, or even look at it anymore! This is so different than my other two. They will make or find something and want it kept for all eternity. But not Mr. Ben – when he is done, he is done – moving on and not looking back. So neat watching their little personalities develop. Sam began to roll some playdough into ball shapes – and by this time Ben had moved past the playdough and was on the slide. Sam decided to give Ben the balls to roll down the slide, where he would try to catch them. This simple game kept those boys busy for a very long time. Eventually one of the balls became smooshed on the slide — which of course led to the idea of making the slide polka dotted with playdough balls. Of course. By the time we were done, the boys pants were caked with playdough and the slide needed a good washing (and by this I mean we needed rain – I am not one to wash things …). But we had tons of fun. I forgot my worry about my impending phone call, the boys had a blast right in our backyard, and we were all happily tuckered out from our morning outside. This experience was a great reminder for me about how simple it really is to play. No fancy toys are needed, or elaborate plans required. 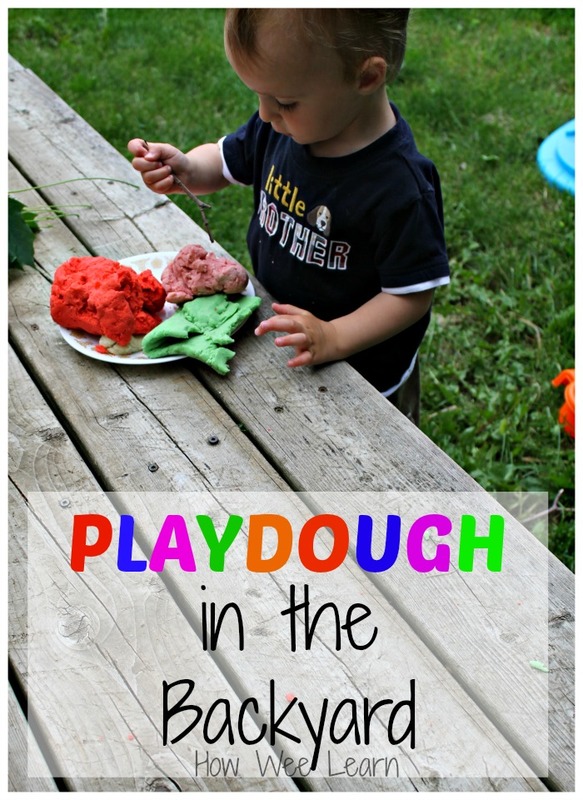 Some playdough thrown in to our typical backyard fun was plenty. You can expect it to stay a little quieter than usual around here for the next few weeks as we pack, move, and settle – but oh when we are in our new place I will more than make up for it! That charming country home has TONS of pictures just waiting to be taken – not to mention the animals that will be joining our family. There will be lots of adventures ahead – so please bare with us! 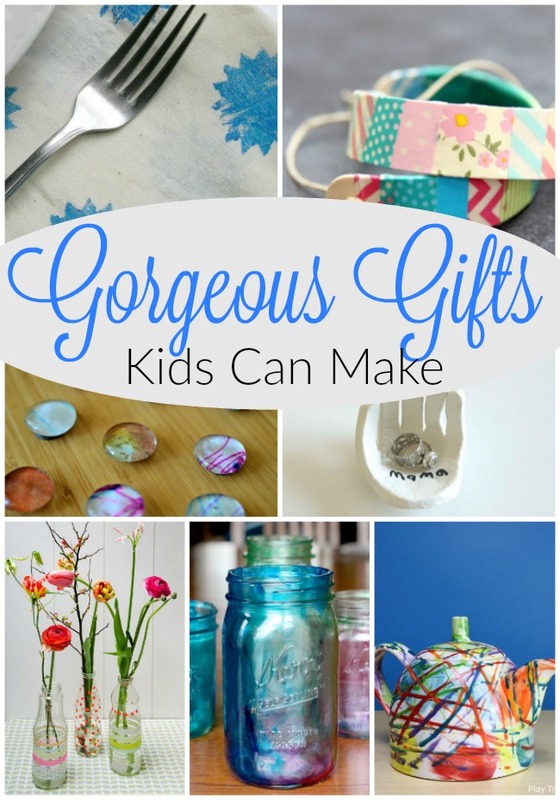 « AMAZING DIY Kids Forts! My kids love to play with playdough too. Well, we all do. Who doesn’t love a nice batch of playdough – right Kathryn? !